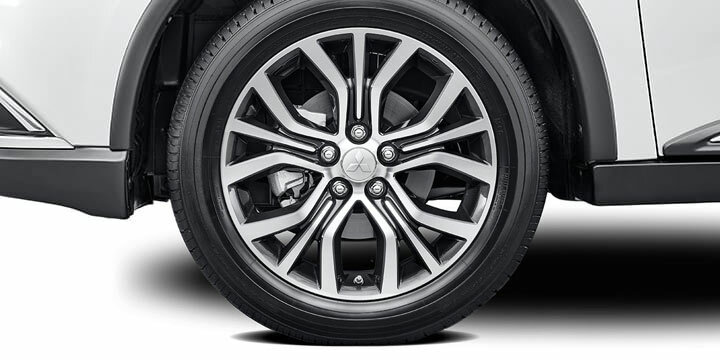 2017, while not a complete redesign like 2016, still gives you plenty of new updates for the Mitsubishi Outlander. Standard now with every model is a 6.1-inch touchscreen and a rearview camera. More optional type features include a heated steering wheel, a 360-degree camera system, automatic high beams, and Apple CarPlay and Android Auto. All-wheel drive is now available as an option for the base trim, ES. 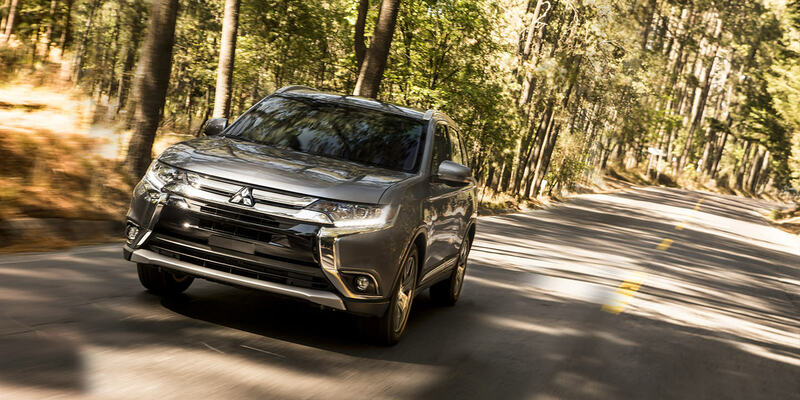 What are the safety features offered with the 2017 Outlander? 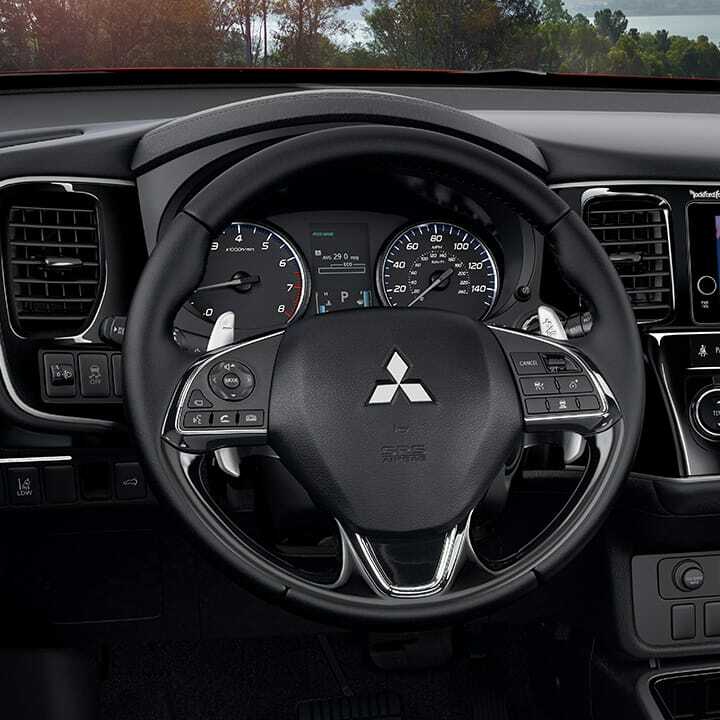 The standard safety features of the 2017 Mitsubishi Outlander are side curtain airbags for the first and second rows, front-seat side airbags, a driver knee airbag, hill start assist, traction and stability control, a rearview camera, and antilock disc brakes. Optional safety features include a forward collision mitigation system with automatic braking, lane departure warning, rear cross-traffic alert, blind-spot monitoring, and a 360-degree camera. What are the engines available with the 2017 Outlander? The Outlander has two different engine options. The first is the 2.4-liter four-cylinder engine, producing 166 hp and 162 lb-ft of torque, and paired with a CVT. This engine is featured with the ES, SE, and SEL trim levels, and can come in FWD or AWD. The second engine is the 3.0-liter V6 engine, which comes with the AWD GT trim. This engine creates 244 hp and 215 lb-ft of torque and comes with a six-speed automatic transmission. The four-cylinder FWD engine has the fuel efficiency of 27 mpg combined, and the AWD fuel efficiency is 26 mpg combined. The V6 engine has the combined miles per gallon of 23. Towing capabilities range from 1,500 lbs with the four-cylinder engine and 3,500 lbs with the V6 engine. 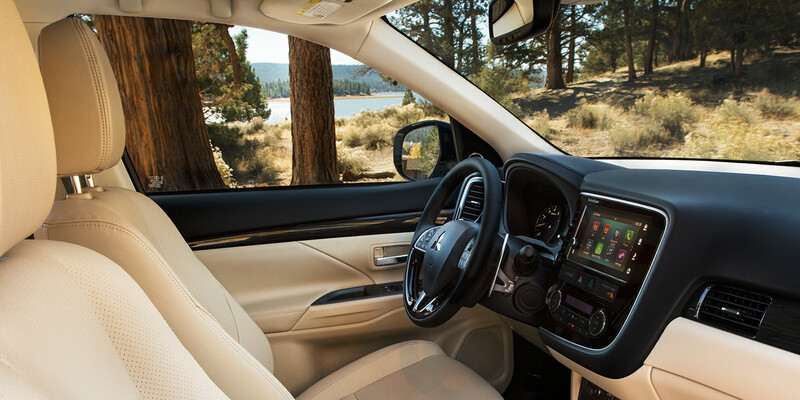 What are the trim levels with the 2017 Outlander? 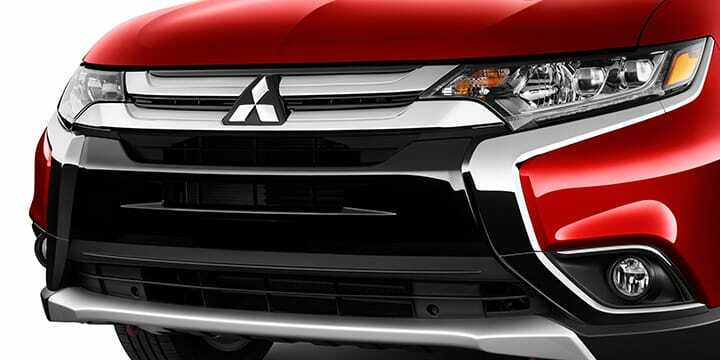 The 2017 Mitsubishi Outlander has four different trim level options, the ES, SE, SEL, and GT. 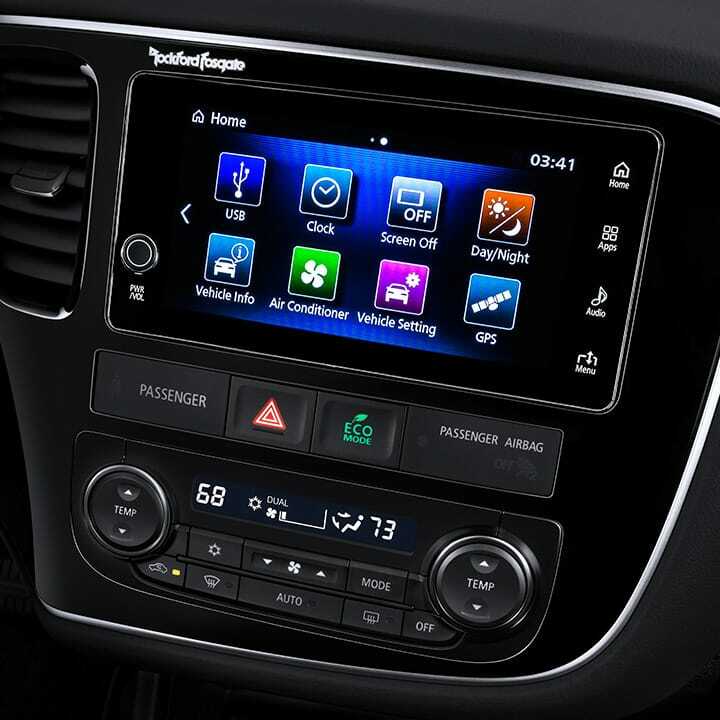 The base trim ES gives you a USB port, a CD player, a six-speaker sound system with a 6.1-inch touchscreen display, Bluetooth connectivity, voice controls, a rearview camera, a 50/50-split third-row seat, a 60/40-split folding second-row seat that slides and reclines, a height-adjustable driver seat, a leather-wrapped tilt-and-telescoping steering wheel, dual-zone automatic climate control, cruise control, rear privacy glass, heated mirrors, LED running lights and taillights, and 18-inch alloy wheels.The SE trim level gives you Apple CarPlay and Android Auto smartphone integration, satellite radio, an upgraded audio system with a 7-inch display, heated front seats, an electronic parking brake, keyless ignition and entry, body-color side mirrors with integrated turn signals, and fog lights. The SEL trim gives you a power driver seat, leather upholstery, gloss-black interior trim, automatic wipers, automatic headlights, and roof rails. There are also a few packages available with this trim, such as the Premium package, and the SEL Touring package. The Premium package has a nine-speaker Rockford Fosgate audio system, rear cross-traffic alert, blind-spot monitoring, power folding mirrors, a power liftgate, and a sunroof. The other package, the SEL Touring, has all of the contents in the Premium package, but adds a forward collision mitigation system with automatic braking, lane departure warning, a heated steering wheel, an auto-dimming rearview mirror, a 360-degree parking camera system, adaptive cruise control, and LED headlights. The next trim is the GT, and comes with the previous features, excluding the advanced safety technology, btu adds steering-wheel shift paddles and chrome exterior beltline accents. Other extras that can be added for all trims include a rear-seat entertainment system, a tow hitch, and a remote engine start. Every trim except the ES can also add front and rear parking sensors, and LED fog lights. 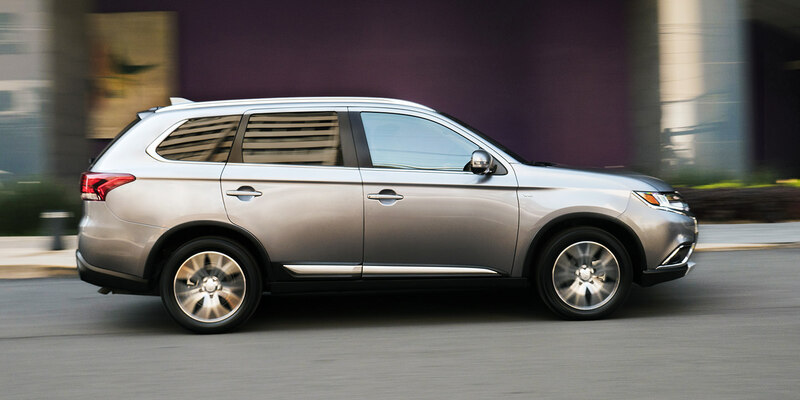 The 2017 Mitsubishi Outlander seats seven, features a 2.4-liter four-cylinder engine and offers four different trim levels. This is the perfect vehicle for any occasion and includes an endless amount of options for safety features, technology, and power. Have more questions that we haven't answered? Be sure to send us them! We would love to answer you and help you in your search for the perfect vehicle. Moreover, if you are interested in the car, we suggest scheduling a test drive! Nothing beats the information you can learn by trying the vehicle out for yourself.